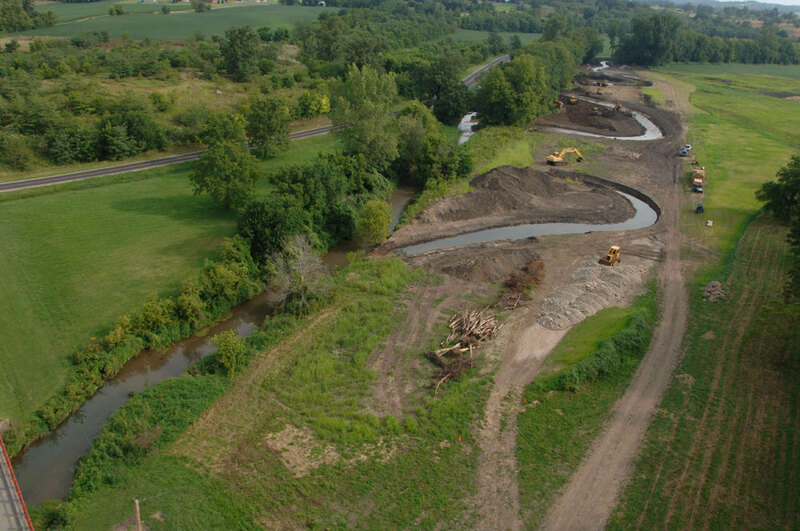 Mac-o-chee Creek Stream Restoration project relocated 1,360 LF of this CWH stream to its historic location through an adjacent agricultural field. Biological sampling conducted in 2011, showed a recovered QHEI score of 83.5 as well as increases in fish populations within the restored reach. IBI scores range from 41-42, ICI 54-56. Published September 21, 2017 at 1000 × 664 in Restoration & Stabilization.